Dairy isn't really everyone's cup of tea (or rather, glass of milk) and if cow milk isn't for you, try Nutragoat. It's a new goat milk brand that's high in nutrition and low in lactose. Reasonable pricing, low lactose, great taste. 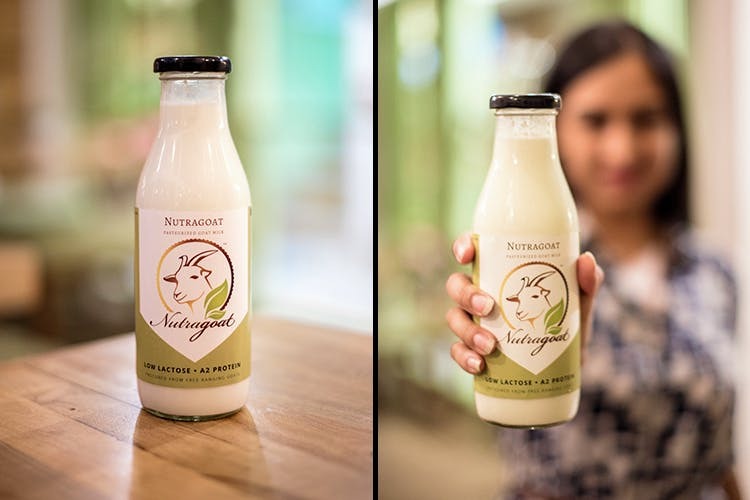 While goat milk isn't usually associated with most palatable taste or smell, the people at Nutragoat have conducted extensive research on providing pasteurised, great-tasting goat milk that comes in different flavours. They have monthly subscription packages with different quantities of milk, the lowest starting at INR 235 a month. Coming to the health benefits, it's great for people who don't take well to cow milk, or are partially lactose intolerant. It's very low in lactose, and the A2 protein in it makes it non-inflammatory and non-allergenic. Since it doesn't form mucus, there's a lower chance of facing congestion and sinuses too. They plan on coming out with goat milk paneer and goat milk cheese too. They're currently delivering all over South Delhi, but also deliver to other areas (upon request). We hope they become available all over Delhi NCR soon. If you're on a diet, their milk is ideal—it's high in nutrients, easy to digest and low in cholesterol.